The Doubleclicks (Laser Malena-Webber and Aubrey Turner) are a Portland & LA-based musical duo who mix comedy, messages and geek culture in charming, catchy songs. 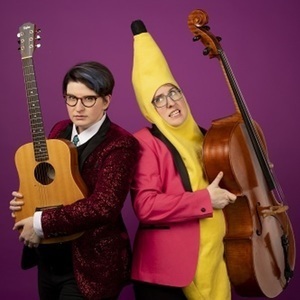 Since debuting with a weekly YouTube songwriting project in 2011, the Doubleclicks have carved out a space in geek and songwriting communities with their message of empowerment and their penchant for involving their community of listeners in the creation of their music and videos. The Doubleclicks’ 2012 album Lasers and Feelings and 2015 album President Snakes hit the Billboard charts in comedy. The Doubleclicks tour the country, playing everywhere from music venues to comedy clubs, game stores, and at events like San Diego Comic-Con, PAX, JoCoCruise and more. The band’s loyal fanbase frequently participates in their music videos and has elevated the band by funding two albums via Kickstarter projects raising a total of more than $135,000. The Doubleclicks have written theme songs and created commercials for popular game brands Cards Against Humanity and Fluxx, for a Nerdist partnership with Totinos, and for many podcasts and web series. 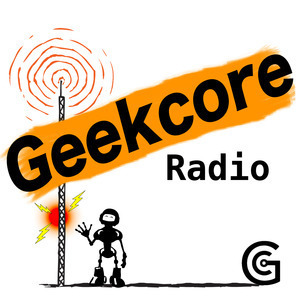 The Doubleclicks has been a guest on 1 episode.